Notice the large gluing surface behind the bridge pins. 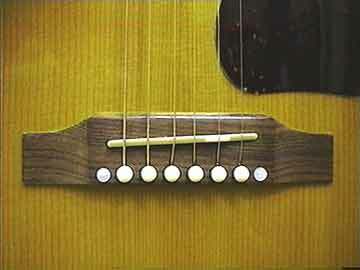 This gives a lot of extra strength to hold the bridge in place, and adds to the stability of the guitar top in general. The "reverse belly" bridge has the entire row of bridge pins right at the back edge, allowing almost no gluing surface where it is needed most! 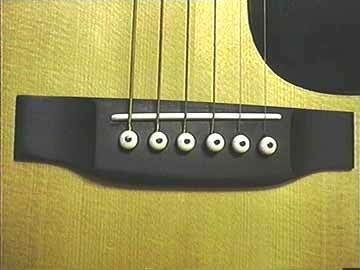 So they use a couple of small bolts, hidden under the pearl inlay dots directly in line with the bridge pins. Even with the bolts, these bridges are not nearly as stable as the Martin design.